« What Do Labor Day and Sunday have in common? THE BEST LST STORY EVER! 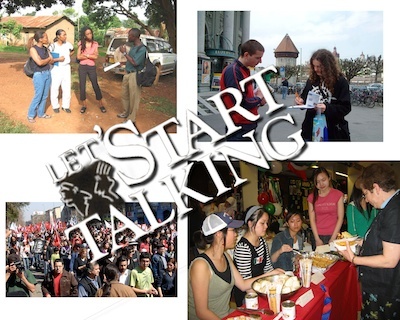 Let’s Start Talking is accepting entries for its first THE BEST LST STORY EVER contest. Over six thousand workers have had LST/FriendSpeak experiences since this ministry began in 1980. Each of you has stories that only you know. We want you to share the stories that touched you, the stories that inspired you, and the stories that continue to motivate you in your walk with God. The subject of your story must be related to your Let’s Start Talking/FriendSpeak experiences. The story may be about your experience, a reader’s experience, or a church’s experience, but the experience must be directly related to a Let’s Start Talking project. Entries must not exceed more than 750 words. There is no minimum word count requirement. All stories should be titled. Please: Send your entry via email to LST@LST.org and put “Story Contest entry” in the subject line. Entries MUST be received by midnight, September 18, 2011. Authors give the Let’s Start Talking Ministry all rights to publish any submission as the ministry determines is appropriate. What fun to share our stories about how God has blessed our LST Readers and us! I can’t wait to read them…and to write my own Best LST Story EVER!